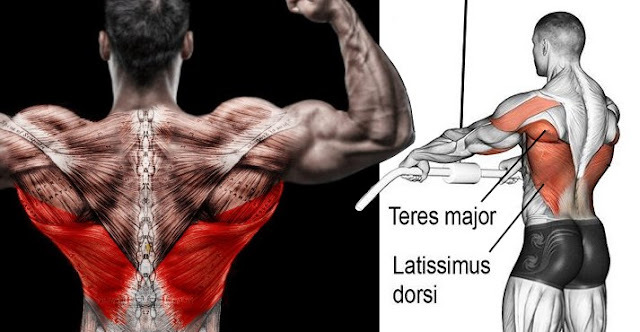 The back muscles are often overlooked in favor of more visible and showy muscles such as the arms and chest. Another reason for the neglect of back training is that it’s a difficult muscle to target. Nevertheless, back exercises are essential for a balanced and total body workout. In this article, I will outline five of the best exercises for sculpting a V-tapered back. The first exercise is the dead lift. I personally do not like this one because using anything less than a perfect form is an invite for injury. However, a lot of lifters swear by this exercise, so I included it here. The dead lift, when executed correctly, builds a strong core in the lower back region. The second exercise is the row. This one can be done several ways. It can be performed either on a weight or cable machine. If you have access to a gym, both should be available, and I recommend rotating periodically between the two. There’s a different feel between weights and cables, so I suggest using both for variety. If you workout at home, rows can be done with resistance bands. Simply secure the center of the band on a pole or a doorknob, grab both handles, and move back until you find the right distance. Once the band is fully outstretched, begin rowing. The third exercise is lat pull downs on a pulley machine. You can vary the placement of your hands on the bar to target different areas of your back. There’s a wide spread belief that pulling the bar down behind your head places more emphasis on the back rather than the arms. I do not believe this is true and have personally felt no difference whether pulling the bar down behind or in front of my head. The next is chin ups, which is essentially the same movement as lat pull downs, except you’re using your own body weight. Be sure to execute the movement with your palms facing away from you. Doing it the other way incorporates more of the biceps, which is not what you want if you’re targeting the back. The fifth and last exercise is the push up row, or at least that’s what I call it because I don’t know what this exercise is called or if it even has a name. Place two dumbells on the floor shoulder width apart. Now get in a push up position with your hands on the dumbells. While maintaining the position, lift the dumbell to your chest, alternating between hands. During the movement, your body will be tempted to move one leg in the air for momentum. Try keeping both feet firmly planted on the floor.